Blurb: Honor, integrity, and loyalty are how Deputy US Marshal Kreed Sinacola lives his life. A former SEAL now employed by the Special Operations Group of the US Marshal Service, Kreed spent most of his life working covert operations and avoiding relationships. 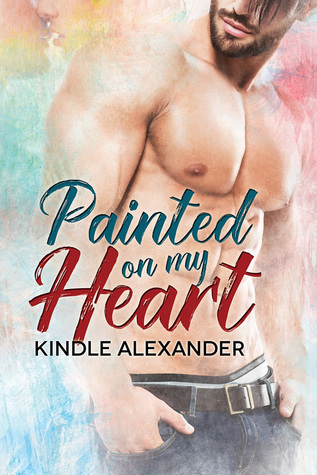 Never one to mix business with pleasure, his boundaries blur and his convictions are put to the test when he finally comes face-to-face with the hot computer geek he’s been partnered with. Hell-bent on closing the ongoing case for his longtime friend, he pushes past his own limits and uncovers more than he expects. Blurb: Tristan Wilder, self-made millionaire and devastatingly handsome CEO of Wilder-Nation is on the verge of a very lucrative buyout. With tough negotiations ahead, he’s armed with his acquisition pitch, ready to launch the deal of a lifetime. There’s just one glitch. The last thing he expects is to fall for the hot business owner he’s trying to sway. Blurb: Deputy United States Marshal Mitch Knox apprehends fugitives for a living. His calm, cool, collected attitude and devastatingly handsome good looks earn him a well-deserved bad boy reputation, both in the field and out. While away on an assignment, he blows off some steam at a notorious Dallas nightclub. Solving the case that has plagued him for months takes a sudden backseat to finding out all there is to know about the gorgeous, shy blond sitting alone at the bar.